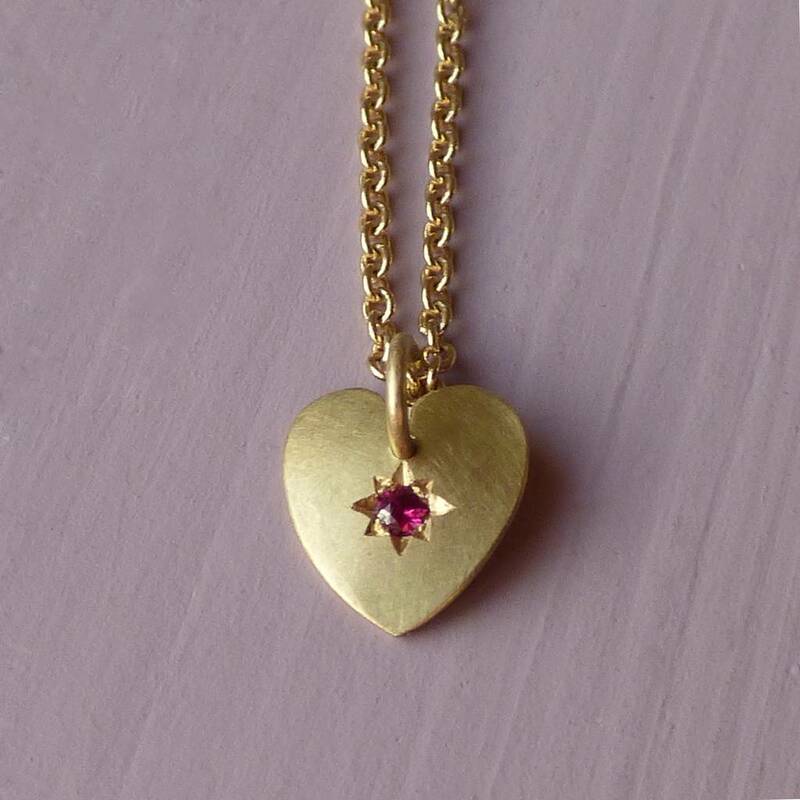 Ethical gold heart pendant, with a 2mm conflict free ruby gemstone set within a star setting. Melt your girls heart with this pretty 'Wish' pendant from the 'Be My Sweetie' Collection. 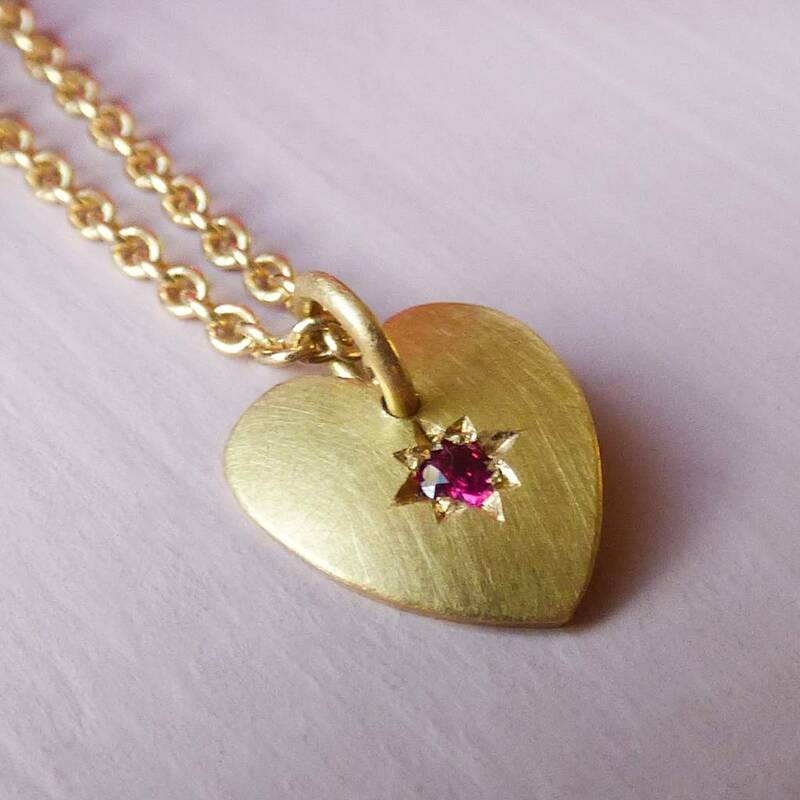 A bright and vibrant ruby set in a charming star setting within a golden heart. This would make the perfect gift for your girlfriend, your wife or as a first piece of fine jewellery for your daughter. 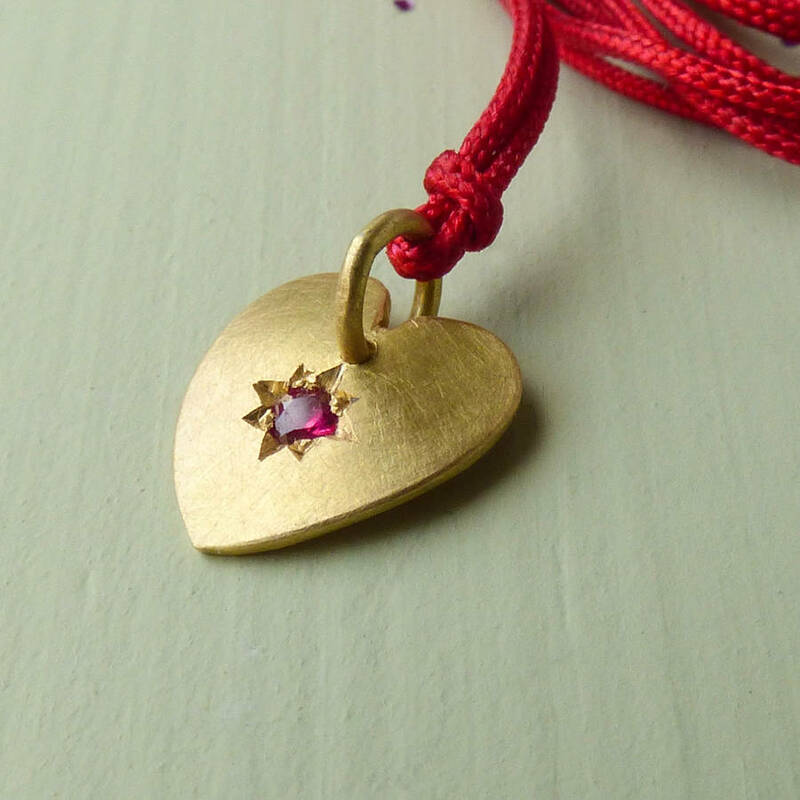 Made with love, in my Somerset studio, this sweet heart pendant will be cherished for many years to come. It comes on a deep red nylon cord that is length adjustable or on a delicate oval trace chain in 41 or 46cm lengths. 18ct certified Fairtrade gold and a 2mm fiery red ruby. 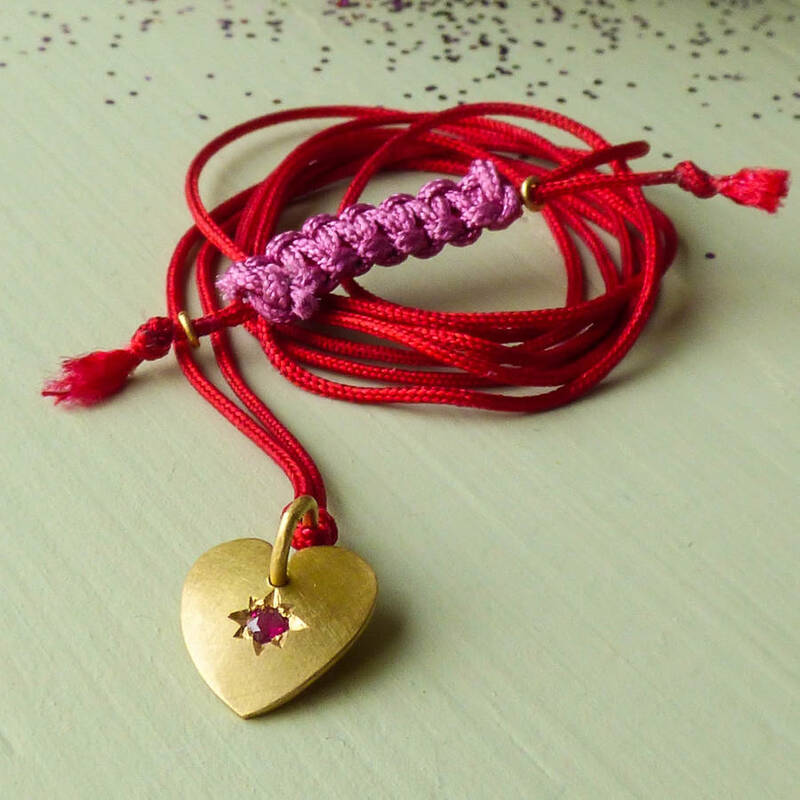 2mm ruby in a star setting; nylon Cord; domed heart is 9mm x 1cm x 6mm thick.